Prior to the Constitutional Reform Act 2005 the tradition / convention had grown that the Lord Chancellor has to be a lawyer. In those times, the Lord Chancellor had the right to preside in the Appellate Committee of the House of Lords though Lord Falconer - (Lord Chancellor 2003-7) - denied himself that pleasure! The Lord Chancellor was also Head of the Judiciary, Speaker of the House of Lords and a member of the executive. He was the very antithesis of the separation of powers. The 2005 Act altered things radically. The Supreme Court of the UK was created with its own President. The Lord Chief Justice became Head of the Judiciary of England and Wales. The House of Lords now elects its own Speaker. 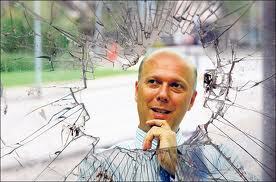 The Lord Chancellor need not be a lawyer but must be qualified "by experience" - see 2005 Act s.2. In practice, the post holder holds the office of Secretary of State for Justice but also has a number of responsibilities allocated over the years by statute to the Lord Chancellor and there are also some ceremonial duties - e.g. it is the Lord Chancellor who hands the Queen's Speech to Her Majesty at the State Opening of Parliament. The Lord Chancellorship is an ancient office - see the full list of Office Holders. The tradition of appointing a lawyer to the post dates back to at least the early 18th century though a number of very eminent lawyers held the office before that such as Sir Thomas More (1529-32). The Chancellor immediately before was Cardinal Wolsey (1515-1529) and the appointment of Thomas More was a major change in that for the future Lords Chancellor did not usually come from the clergy and the appointment of lawyers became the norm. Also, historically, a number of very notable Chancellors presided over the Court of Chancery and were instrumental in the development of the branch of English law known as Equity. Does it matter whether the post holder is a lawyer or not? Whatever the 2005 Act actually states, instinctively one thinks that a legal background is needed for a role so central to the administration of justice. Joshua Rozenberg writing in The Guardian 4th September thinks that there is "scope for mischief" particularly when the post holder is a politician "on the way up." It will certainly be interesting to see what sort of relationships develop between the new Lord Chancellor and the very senior judges such as the Lord Chief Justice. As for what the non-lawyer Lord Chancellor will wear on formal occasions - watch this space !! I thought that Afua Hisch's report on Kenneth Clarke's swearing in was rather good. UK Human Rights Blog - "So long, Ken, noble scourge of imaginary cats and hello Mr Grayling"
Barrister Bagazine - "The legacy of Kenneth Clarke at the Ministry of Justice"